Are you a website owner who is tired of spending time and money for maintaining your site speed? Don’t worry! Aspiration Hosting is here to help you. Nowadays people can’t afford to waste a second of time to load the data they requested. They’re all in a hurry. They need everything at their fingertips at lightening speed. Therefore, the loading time of your website matters very seriously. If your visitors feel the loading speed of your site is slow then you can see a rise in your bounce rate. Let’s check how can we optimize WordPress site for speed. A lot of techniques are available to improve your website speed. If your site is slow then Google itself will push back your website. A slow loading website will result in a reduction of Google search rankings. The arrival of the internet made huge changes in people’s lifestyles. The major issue with a slow loading website is that people lose their patience and they will leave your website soon. The main reason behind your site is loading speed is the quality of Web hosting, traffic to your website, bots or malicious attacks, etc. Today a lot of tools like Pingdom tools, GTMetrix are available to check your website speed easily. Choosing the best and high-quality hosting plan is first and foremost the most important factor for getting a high-speed website. Your host server decides how fast your site should load. Always choose a hosting provider with different server locations. Your web host determines your sites performance, speed and also how well it can perform during heavy traffic. Content Delivery Network will help you to create a faster loading experience for your visitors. CDN will deliver the data regardless of their geographic location. CDN will keep a copy of your website in multiple server locations. So once a request arises the data will be taken from the nearest server location of the visitor. This will help to enhance the loading speed. Aspiration Hosting has Aspiration CDN which relies on a global network of high-performance CDN PoPs with over 50+ cities across six continents. While creating a website you should always use high-quality themes and plugins. Both the themes and plugins have a great effect on the speed of the site. Similarly, don’t forget to update the themes and plugins. Try not to ignore updates whenever it is available. Keeping your site up to date will also ensure you with security. No one would like to make any communications with an unsecured and also outdated website. Database optimization means reorganizing them to reduce space and increase their efficiency. Every action can be done easily through plugins. WP-DBManager plugin will help you to manage your database by optimizing, repairing and deleting the unused files. All the images on your site should be optimized. Large size images will be hard to load. Large files will negatively effect the loading times. This will result in a bad user experience. Image optimization is the process of compressing the file without affecting its quality. A lot of plugins are available today which will automatically optimize the image during the time of upload. Minifying the files results will avoid all unwanted data and thereby resulting in high load speed. When a human writes the code he/she will use more characters to make it clear, but for a computer, it can be understandable with minimum characters. A lot of user-friendly online tools are available to compress the files. WordPress comes with plugins to do this process. So you need not worry about the result. 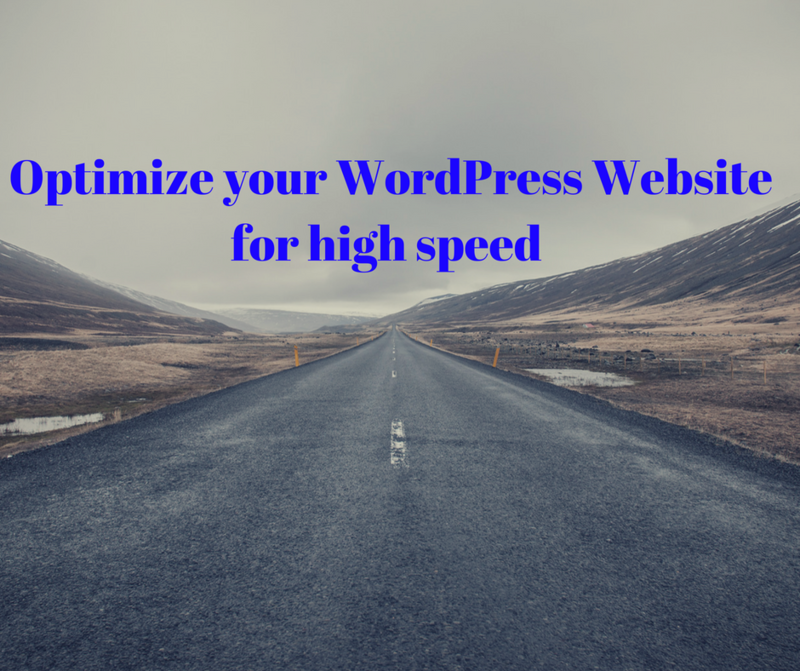 Hope this article helps you to know how to optimize WordPress website for high speed. Aspiration Hosting specializes in Magento Hosting solutions as well as other PHP Applications like Simple Machines Forum (SMF), WordPress, Drupal, Joomla, etc. with 24/7 topnotch technical support. If you have any questions moving to an eCommerce store we are happy to help you.